Children who stay at a healthy weight tend to be fitter, healthier, better able to learn and more self-confident. They are also less likely to be overweight as an adult and have health problems later in life. There is plenty of information available to help you support your child to eat healthily, get plenty of exercise, and stay a healthy weight. Making a change to your lifestyle doesn't need to be difficult; with a little help, it can be rewarding and fun. Healthy Choices is a FREE 12 week programme for 4-19 year olds who are above a healthy weight. One of our healthy lifestyle advisors will work with you and your family for up to 12 weeks, delivering fun and interactive sessions on a whole range of different topics around nutrition, health and lifestyles. We offer 45-minute sessions either in your home or in local community venues including children’s centres and schools. The programme offers personalised support that is designed to be a fun, positive and energising experience. 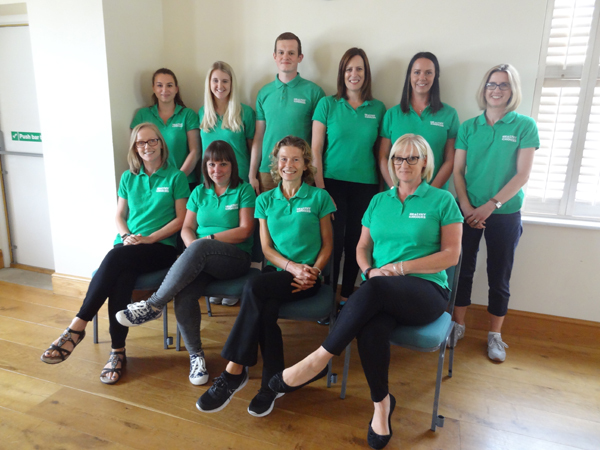 The team will help you set simple realistic goals suited to your family to work towards a healthier lifestyle. Your advisor will also offer a weekly weigh-in, and help your family set a weekly goal, to help you on your journey to a healthier lifestyle. Can you and your family commit the time and energy to attend weekly sessions for 12 weeks? Are you in the right frame of mind to support each other to make lifestyle changes? If you'd like to register your interest in taking part in Healthy Choices for your child, you can do it online. How can I tell if my child is a healthy weight? We look at how healthy a child or young person's weight is by using the BMI centile. This is similar to the BMI we use to measure adult weight, but takes into account the gender and age of the child or young person. For example, an adult with a BMI of 24.2 is within the healthy range, but for a 14 year old boy the BMI would be plotted on a male centile chart and against age which would show as above healthy weight. The easiest way to check BMI is to use the NHS online healthy weight calculator which can be found here. If you are concerned about your child being underweight or not growing normally you can access further information here. speak with your GP or school nurse. A member of the healthy choices team will call you to talk through the service, your child’s eligibility, any previous attempts your family has made to make healthy lifestyle changes, what your motivations are, and the session options available to you. Who are the healthy lifestyle advisors? healthy lifestyle support workers: have qualifications and experience of working with families, children and young people in a range of settings. Teesside University has evaluated the Healthy Choices programme to find out whether it has worked, and what can be improved in the future. This involved looking at how diet, physical activity levels, and body weight status has changed over time in the children and young people that took part. The researchers also looked at responses to the parent and child feedback surveys, and spoke to the programme staff and families who took part, to find out what they thought about the programme. Between November 2015 and October 2017, 644 boys and girls aged 4-19 years had been referred to the programme, mainly through the Healthy Child Service, the National Child Measurement Programme, the North Yorkshire County Council Prevention Service or self-referral. Just over half of these families started the programme, and most of them (299 children and young people) completed it. The main reason families dropped out of the programme was family pressures. The main reason for not starting the programme was a wish not to take part. 100% of the 209 parents, and 99% of the 202 of children and young people who completed the feedback survey said they enjoyed their time on the programme. Nearly all families (over 97%) who completed the feedback survey would recommend the programme. Two thirds of children and young people who completed the programme survey said they felt happier. Three quarters also felt they were better at making healthier choices and rated the programme as excellent. Families particularly enjoyed the hands on sessions such as cooking. On average, those children and young people who completed the programme improved their diet, activity levels, feelings of self-worth, and body weight status. Their parents also improved their confidence in using the eat well guide and food labels. These positive changes will help improve the health and well-being of these children and young people. Some children who completed the Healthy Choices programme were not followed up at 6 and 12 months as a result of the service being unable to contact the family, so it was difficult to conclude whether the changes made were maintained. However it is really important to collect this information so we can see whether Healthy Choices has a lasting effect after the programme has ended. When asked about how the service could be improved, families would like more fun, rewards, practical sessions, and more advice about healthy eating on a budget and low cost or free opportunities for physical activity. It was also suggested that the programme was advertised more widely to raise awareness of it, and also provide links to other supporting services. Recipes with healthy and delicious ideas for breakfast, lunch, dinner, barbecues and lunchboxes, including the Smart Recipes app. NHS Choices offer advice on healthy weight in children and young people. You will find steps for success including how to be a good role model, ideas around healthy meals, snacks, drinks and portion sizes, plus information about becoming more active.